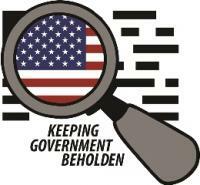 Keeping Government Beholden is a non-partisan foundation formed to educate the public on how changing rules and technology are ushering in a new era of government transparency and accountability. Through our educational endeavors, we seek to increase awareness of directives dictating how our government is supposed to preserve records of its actions and decisions at all levels. Keeping Government Beholden’s mission is to ensure the government complies with directives to provide access to its records through investigation, litigation, and public advocacy.